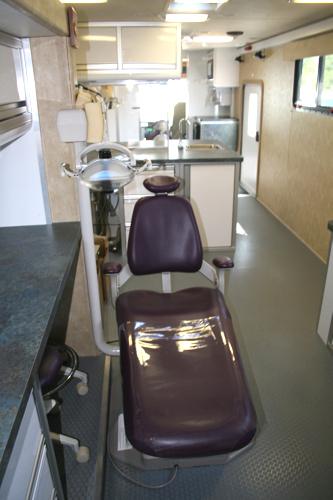 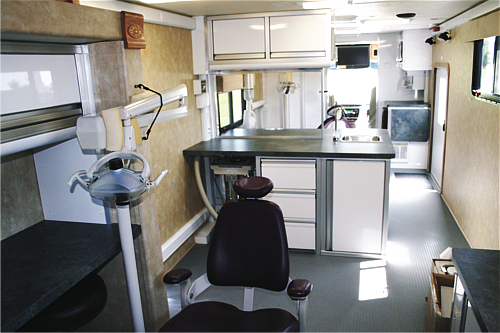 This wonderful mobile dental clinic offers free dental care to underprivileged, underserved, and uninsured patients. 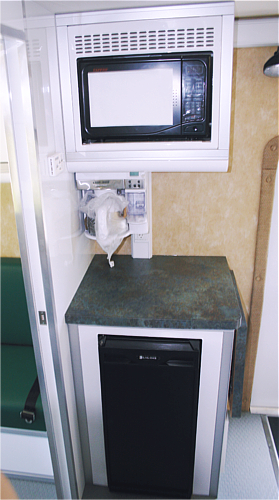 A small break area with coffee maker, microwave, and refrigerator was built for employees. 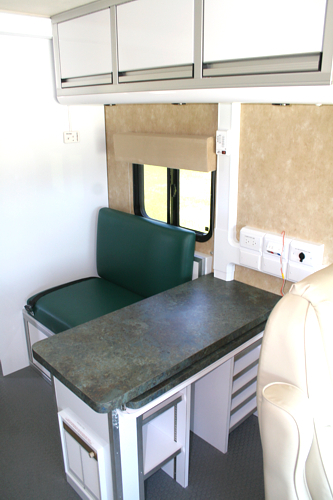 The receptionist/waiting area is located in the front of the mobile medical vehicle. 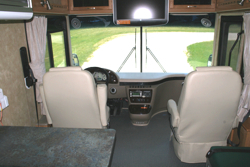 The drivers' seat swivels around to face the desk and becomes the receptionist's chair. 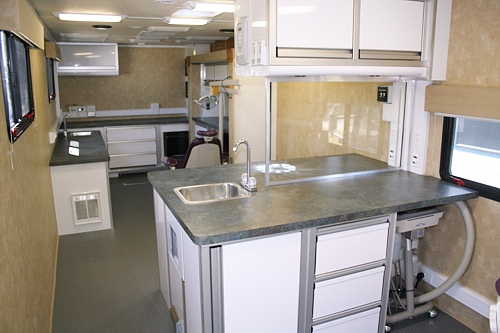 The mobile medical vehicle provides plenty of storage and counter space. 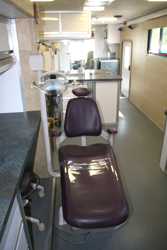 An acrylic window infused with lead was installed to prevent patients and staff from any harming effects of the Xrays. 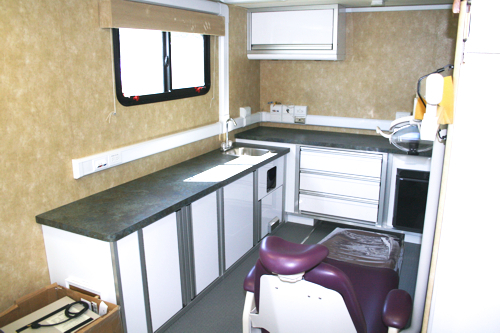 The mobile medical vehicle is divided into three areas, the receptionist area, the xray area, and the exam area.